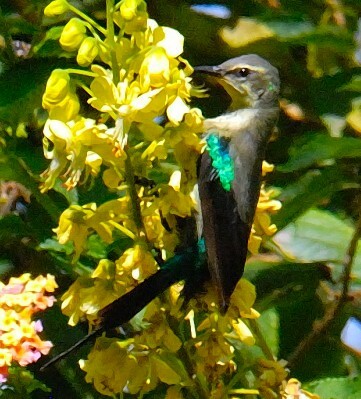 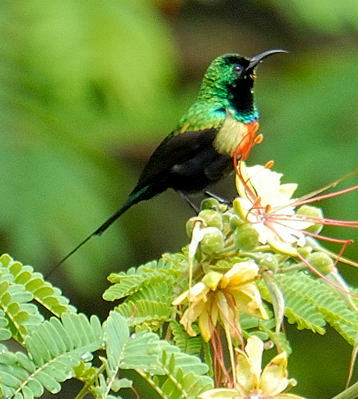 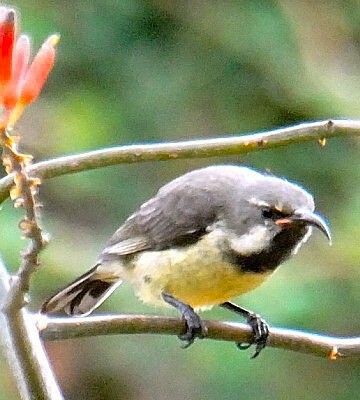 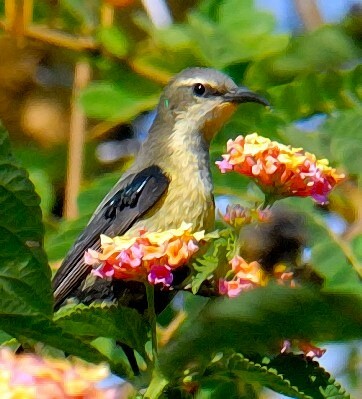 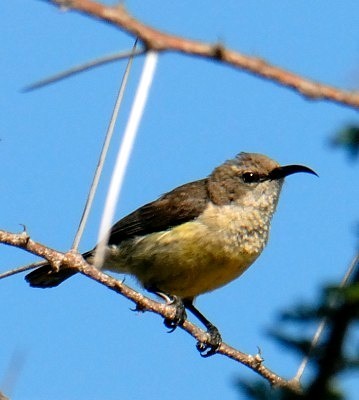 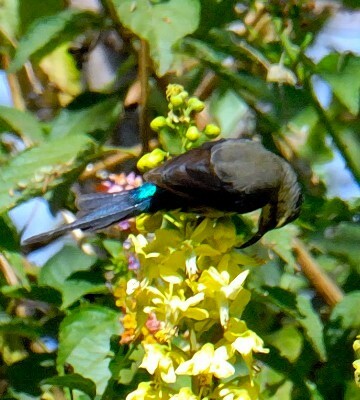 The beautiful sunbird is common in drier bush country and gardens throughout central Tanzania. 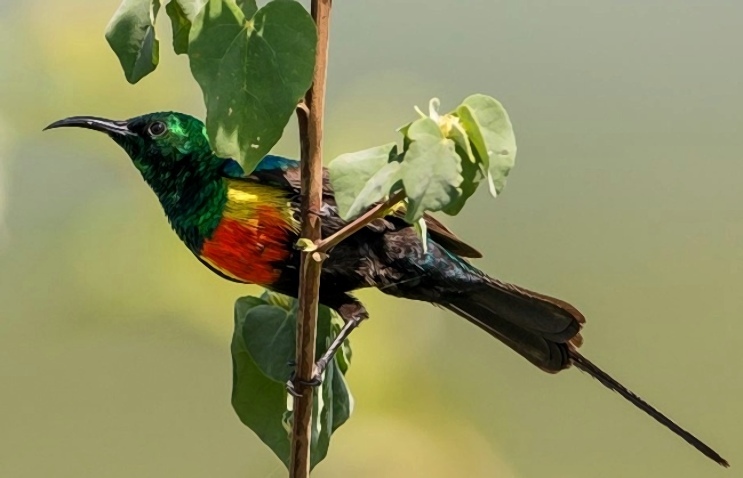 The 6th row male was seen in Tarangire (4-16), courtesy of Riaan Marais. 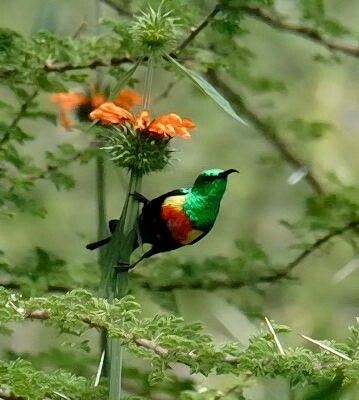 These photos were taken in Sukuru, Engikaret, Nanja Dam, Olasiti, Tarangire and Lake Manyara. 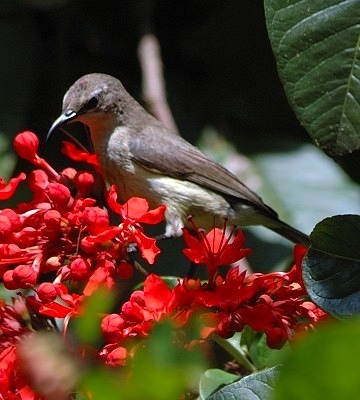 Click the photo above to see 28 enlargements including females and immatures.